A very strong fibreglass paramotor and microlight helmet, the same shape as the Rollbar helmet, without the rollbar feature. Paramotor World Champion 2014 Alexandre Mateos wearing our Scarab helmet vs Big Jim. Designed by Ignazio Bernardi, with technical consultancy from the greatest Italian helmet developer. Scarab, a helmet built using the same technology as in military applications, including high-modulus glass fibre and high-density polystyrol to guarantee the highest possible standards of safety. The size of a helmet is always described by the inner circumference of the internal padding. 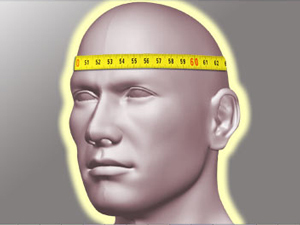 The size number therefore corresponds to the head circumference in centimetres. This helmet has a fixed luxury internal padding that can be replaced by larger or smaller padding pieces, thus varying the helmet size. The important advantage: you can easily remove the padding and replace it with a new one or just wash it. If the helmet is not a perfect fit, we can arrange for a new internal padding to be sent to you. The optional Scarab & Solar X Visor LONG comes in 3 versions: transparent, tinted brown and mirror*. *Please note: the mirror visor is very delicate; it very easily scratched. Four basic internal paddings are adapted to the four sizes, adjusted by the wheel regulator at the back of the helmet. The internal paddings can be replaced by larger or smaller internal padding pieces, thus varying the helmet size. You choose which size of internal padding you need for a safe head fit. This can be changed in case a different size is needed. The important advantage: you can easily remove the padding and replace it with a new one or just wash it. NB: We suggest this option only for tandem pilots who fly with different-sized tandem passengers, as the interchangeable internal padding is more comfortable. Adjustable plastic-coated stainless steel wire sidepieces with luxury chin strap. The Scarab helmet has the same shape as the Rollbar helmet but without the rollbar feature. Therefore there is only one unique certification for both models. The weight of a fiber glass helmet has a tolerance of +/- 50 grams due to the glue applied and to the thickness of the fiber glass layers. We include an Icaro helmet bag with all Icaro helmets. For information about Icaro2000 ear defenders (ear cups) and electronic headsets* see here. *Including details about the various options, microphones, booms, speakers and cables, radio bands (2 meter or aviation), softgel option and radio and headset compatibility.